For most of us, keeping our car interior clean is kind of a hassle. Unlike the rest of our living spaces, we usually don’t have an easy way to remove dirt and dust from the various nooks and crannies of our vehicles. However, if you had a device that made things simpler and more efficient, you would probably maintain a much cleaner interior than normal, right? With that in mind, let’s take a look at some of the vacuum for car interior that are available for that specific Job. So it’s food crumbs, or outside dirt, or anything else inside your car, these cleaners can make the car vacuum job so easy that you will actually look forward to doing it. 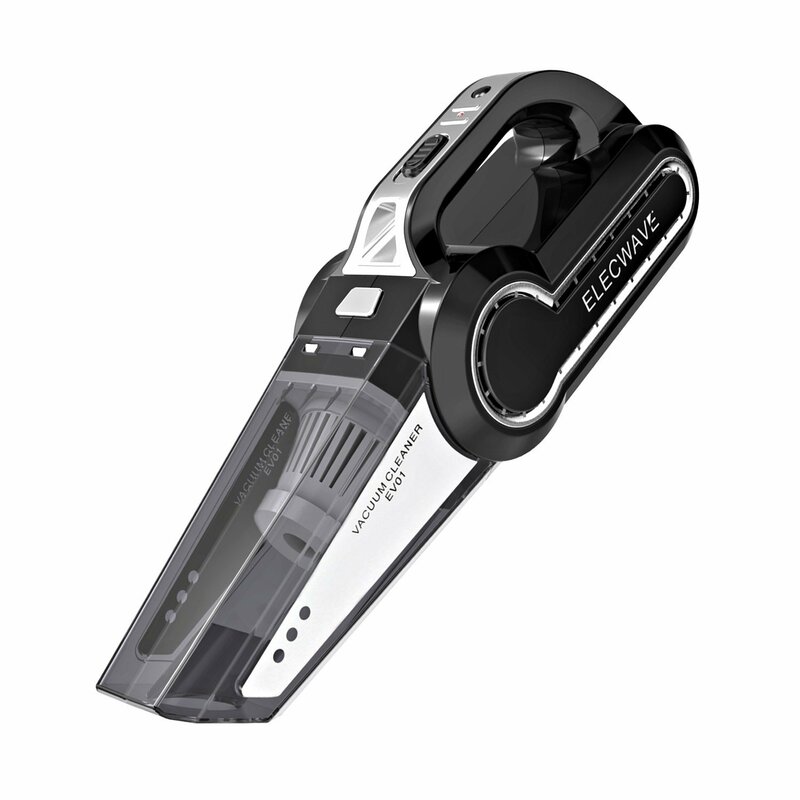 Starting us off is this handheld vacuum cleaner from Elecwave. As far as inner car cleaning devices go, this one is slightly above the rest regarding its performance and features. First of all, it has a robust 120-watt motor, which is powered by your car’s battery. As such, you have to make sure that the vehicle is running so that you don’t lose suction nor kill your engine. This vacuum is listed as a 4-in-1, but really it has two capabilities: suction and inflation. On top of that, it comes with a pressure gauge so that you can be accurate when inflating your tires, and it has an LED light so that you can see better while you’re cleaning. 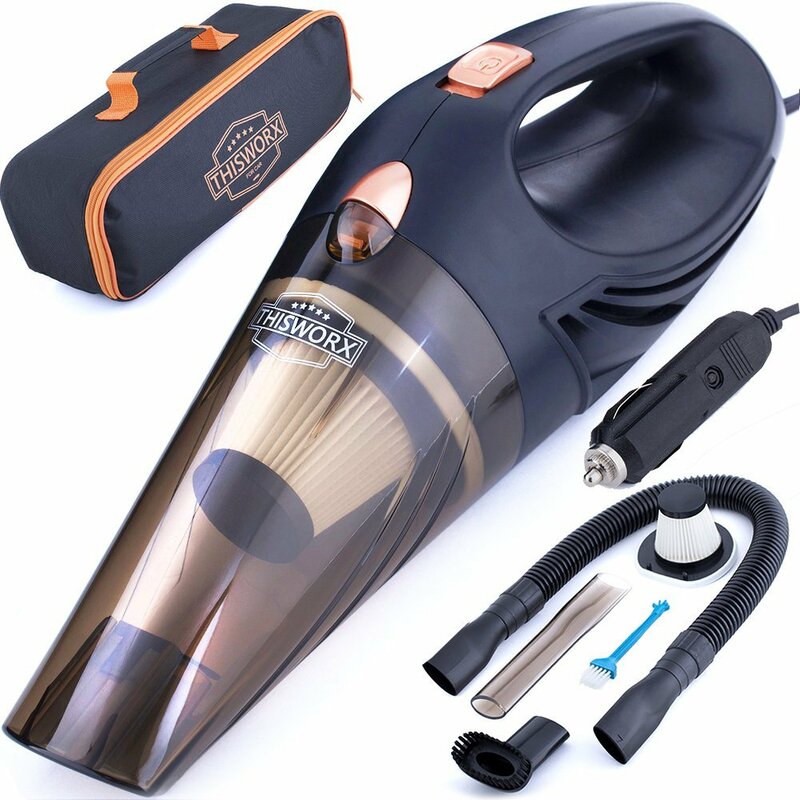 Features that we like about this interior vacuum include the extra long 18-foot power cord, the fact that it can clean wet and dry messes, and that it has a dual filtration system for cleaning the air and each surface. Overall, a great mini vacuum. Next, we have another mobile model, although this one is not quite as powerful. Overall, this particular vacuum is great for internal spot cleaning, but not much beyond that. We would recommend this as a supplement to another, larger cleaner so that you can be sure that you’re getting your whole car interior clean. 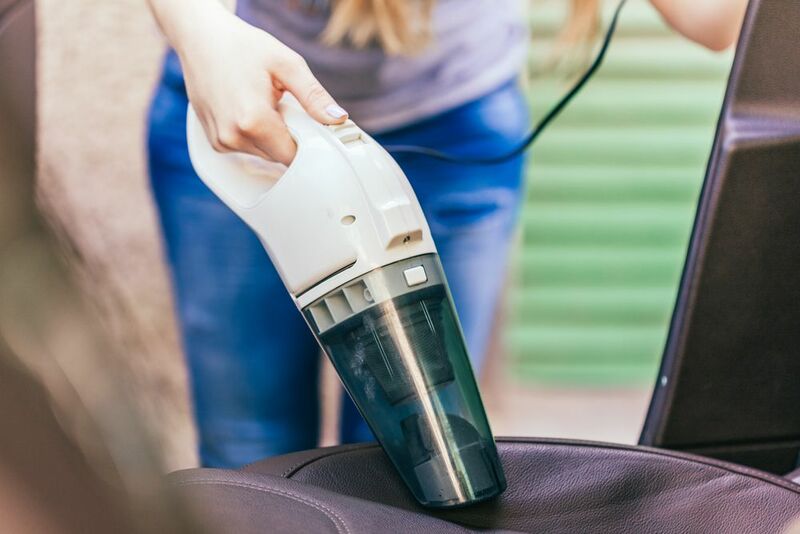 Some notable features of this machine include a 16-foot power cord, a bagless design that allows for easy emptying and cleaning, and a HEPA filter to ensure that no dust gets back into your car. It also comes with five separate attachments for getting into tight internal spaces, and it weighs less than three pounds. As we mentioned for the above example, it will work great as a supplemental vacuum for something bigger and more robust. This next cleaner is just the ticket as it comes with a remarkable two-horsepower motor and 2.5-gallon dirt capacity. Overall, if you want to make sure that your car's interior is as clean as possible, this is the vacuum to get. What we like most about this machine is that it can clean up wet and dry messes. Also, the amount of suction you get is far better than anything else on this list, making it a great shop vacuum as well as a car internal cleaner. It has a six-foot hose, five different attachments, and an automatic shut off feature when the bin is full. In short, it comes with everything you need, and then some. 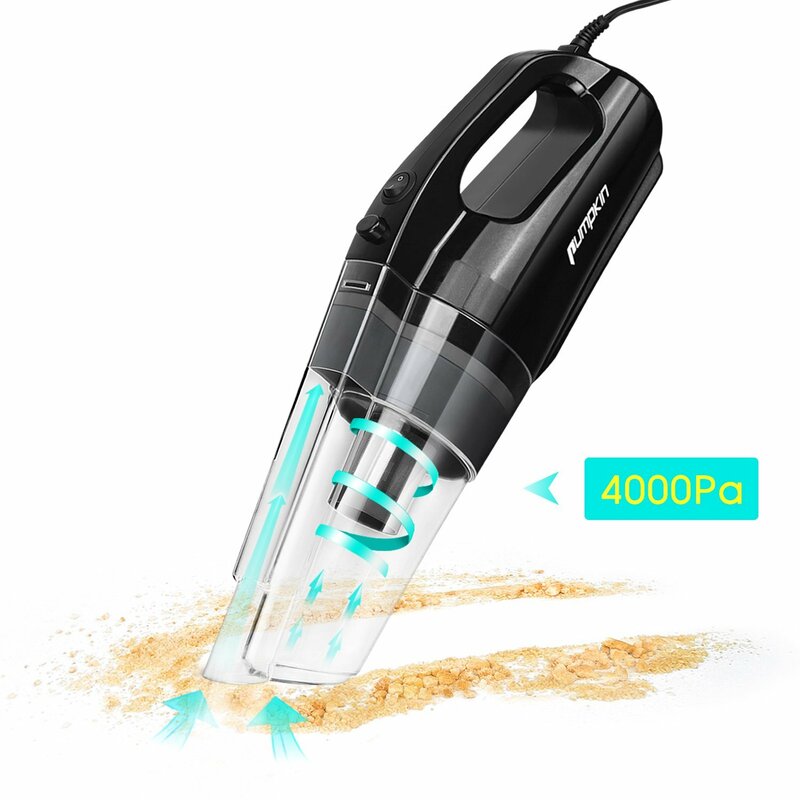 When comparing the different handheld vacuums, it’s easy to say that this one is at the top of the list. Not only does it have one of the more powerful motors (120-watts), but it also comes with a sturdy stainless steel filter and a durable plastic head that won’t break easily. So, if you’re looking for something reliable that won’t break easily, this is a great option for you. Other notable features that come with this inner vacuum include the ability to clean wet car interiors or dry spills and messes, four different attachments for getting into tight spaces in your car interior, and a lightweight design that weighs just over three pounds. It even has a long 16-foot power cord so that you can reach everywhere in your vehicle. Our final cleaner is yet another handheld model, although this one looks a bit better than the others. It’s not quite as powerful with a 100-watt motor, but it’s perfect for spot cleaning most messes. As with some of the other models we’ve seen, this one is ideal as a supplemental vacuum for keeping in your trunk or glove compartment. Notable features of this car interior cleaning vacuum cleaner include a 16.5-foot power cord, the ability to plug into your car’s 12-volt adapter, and a relatively quiet operation at only 75 decibels. It also comes with six different attachments, as well as a carrying case for everything. Finally, it can work as an inflator as well, so you never have to worry about getting a flat tire on the road. Overall, if you want the most power and performance, we highly recommend getting the Armor All Vacuum, as it has a much better motor and dirt capacity than anything else on this list. However, if you are looking for something more portable and agile, then we would suggest the Elecwave. It has the most features and a reliable motor to ensure that you can keep your car clean at all times. Since your vehicle is relatively small (compared to, say, your house), you can’t operate a large, bulky cleaner inside of it. Thus, your best bet is to find a model that is compact enough to make it easier for you to get underneath the interior seats and into the smaller cracks of your car. if you want to keep the machine in your car at all times so that it’s more convenient, or if you will have it in your garage or other areas. If it stays in your trunk or glove compartment, then you have to have a cleaner that will fit comfortably. No matter what kind of Interior vacuum you get, it won’t be able to reach into all of the tiny spaces in your vehicle, regardless of its size. Thus, it’s imperative that you find a model with sufficient accessories so that you can clean every inch of Interior of your car. For example, an extension wand will help you get in between the seats, while a detail wand or brush can fit into the air vents and remove dust. Overall, you want a set of attachments that will enable you to do as much deep cleaning as you want so that you can keep your car in pristine condition. 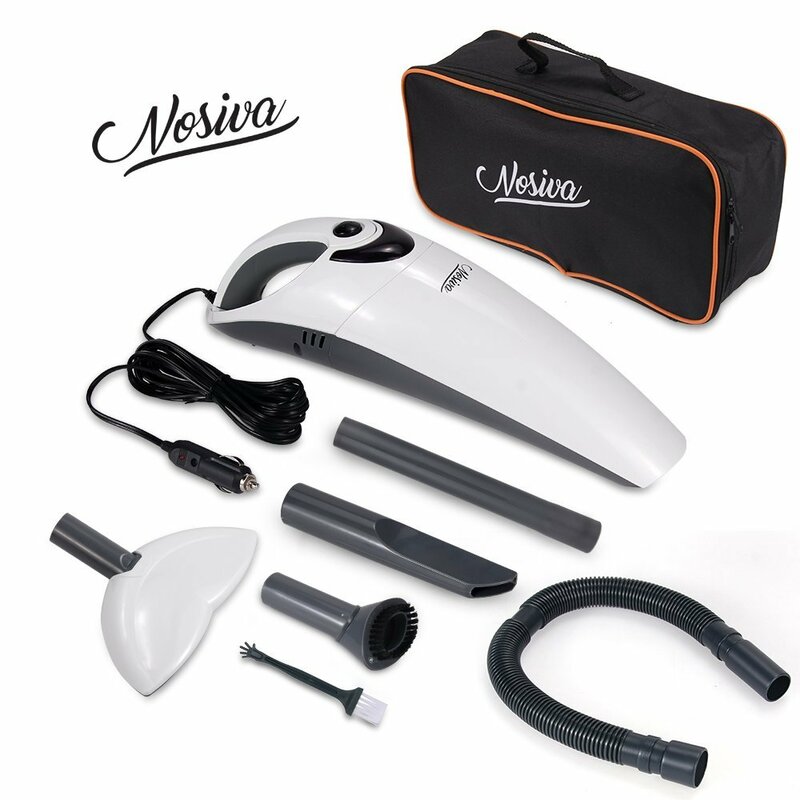 Usually, when picking out a compact and portable vacuum cleaner for your cars interior, you will find models that resemble a dust buster. This means that they are handheld and can fit into your trunk or glove compartment rather easily. 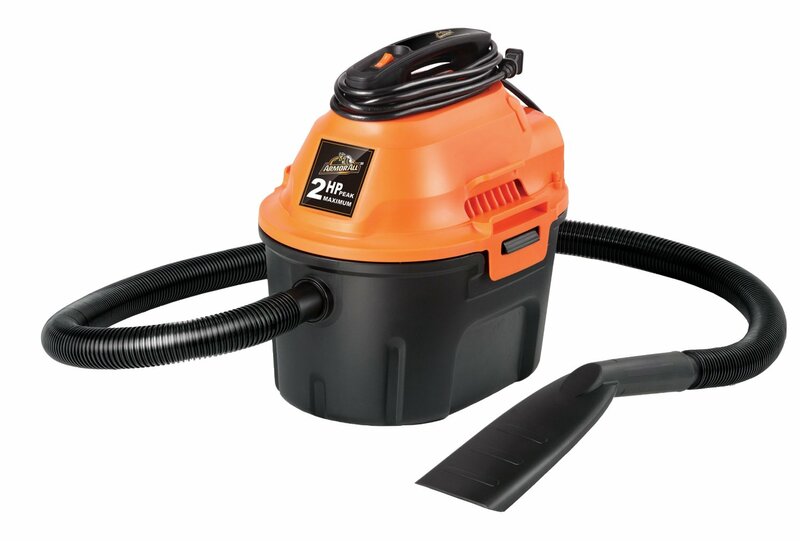 However, if you want something with more power, then a canister style vacuum will be a better choice. These are larger devices that use a long hose to let you reach into the various internal spaces and crevasses of your vehicle, while still providing remarkable suction and performance. When it comes to finding the right internal car vacuum cleaner, there are three primary options you can have regarding how they operate. First, they may utilize a battery. If this is the case, then you don’t have to worry about cords or anything getting in your way while cleaning. However, the downside is that you can only work on the interior of the car for a limited amount of time (usually about 20 minutes). Second, they can run off of your car’s battery. For those kinds of cleaners, you will want to have your vehicle running so that they don’t drain the battery all the way, thus forcing you to call for a jump. Also, they are limited in how well they clean the interior parts of the car since they don’t have as much power. Finally, you can choose a traditional model that plugs into an outlet. The downside of this is that you can only use them when you have access to one, but you get better suction and unlimited cleaning capacity. Overall, pick a power source that works best on car interiors for your situation.